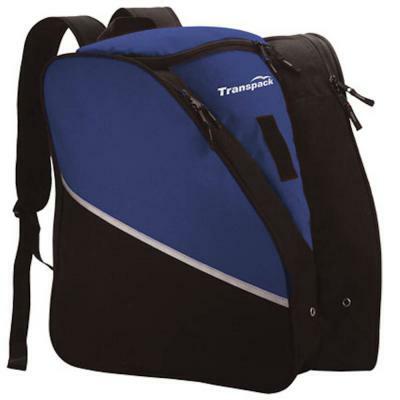 The Transpack Alpine Boot Backpack Black/Blue features the patented isosceles storage system. 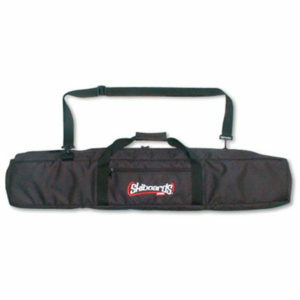 Two side pockets hold boots surrounding a large central compartment that accommodates a helmet and gear. Weight and bulk from boots are directed to the sides and away from your back creating a natural suspension that is ergonomic and comfortable. Grommet air/water holes in side pockets provide ventilation and drainage for moisture and melting snow from boots. An ideal way to carry all your gear to the mountain. Patented Isosceles Storage System™ carries boots, helmet and gear.